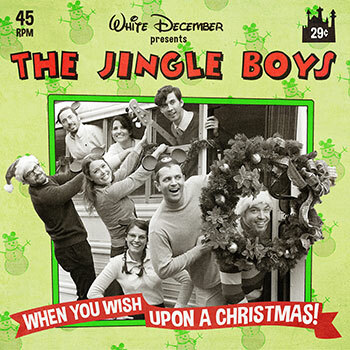 The Jingle Boys began as a humble musical Christmas card primarily by four musicians, and has grown over the past five years into a tight-knit group of friends with a passion for arranging and producing the best Christmas music you can create with no budget. To receive the gift of the annual Jingle Boys album is to be part of a privileged group of friends and family. With many thanks to the talented musicians and friends who have joined us over the years: Ian Batstone, Jayden Bean, Larry Briner, Corey Coverstone, Ananda Dillon, Katie Fierro, Lonn Hayes, Lana Joy, Matt Leon, Chris Martin, Matt Oden, Ben Pringle, Nick Rosetta, Chase Sampson, Ryan Sarmiento, Anna Schubert, Sarah Schuessler, Rita Soultanian, Amelia Sully, Macain Treat, Andrew Wahlquist, Allison Weintraub.